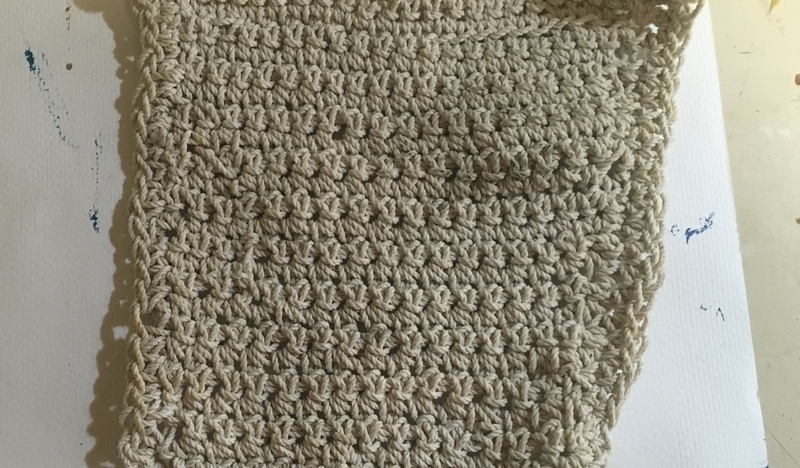 I have seen this crocheted scrubbing cloths at other people’s houses and thought, hmmm, that ought to be easy enough to reproduce, and using common string. I happened to have a roll of very sturdy cotton string so I made one in just about an hour (I crochet slowly due to stiff fingers that cramp easily). I want to make another out of kitestring next, as it ought to be a bit softer, but this one should last forever and be good on those dirty crusty pots! Now you are making me wish that I could crochet!